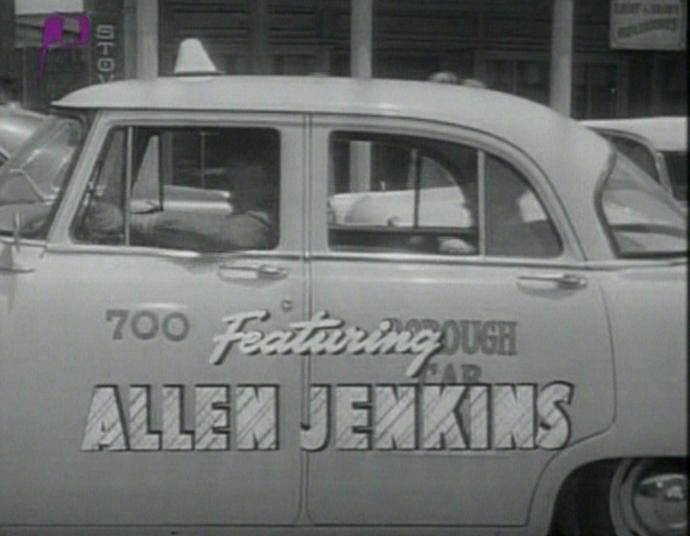 Re-run on ABC in Summer 1960 under the series title "Jeannie Carson"
Premise: Format 1: Jeannie MacLennan, a Scots girl in New York helps a taxi cab driver. 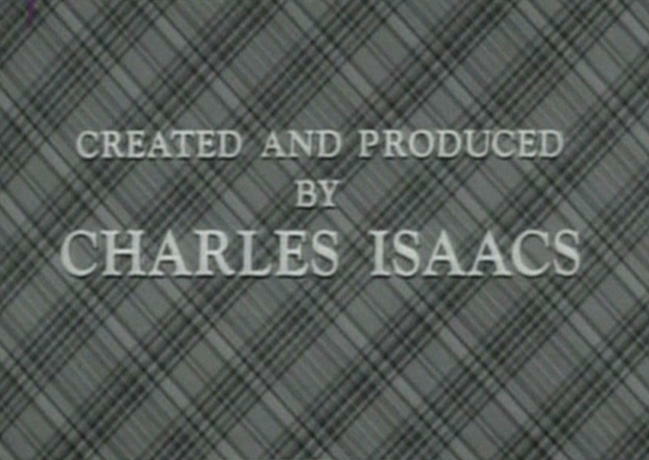 Director of Photography, George E. Diskant, A.S.C. Edited by Samuel E. Beetley, A.C.E. his boss starts looking for him, Jeannie tries to help out by hiding Al's cab. Edited by Desmond Marquette, A.C.E. Jeannie Sings "A Wee Doc and Doris"
in the annual ceremonies commemorating the ride of Paul Revere. 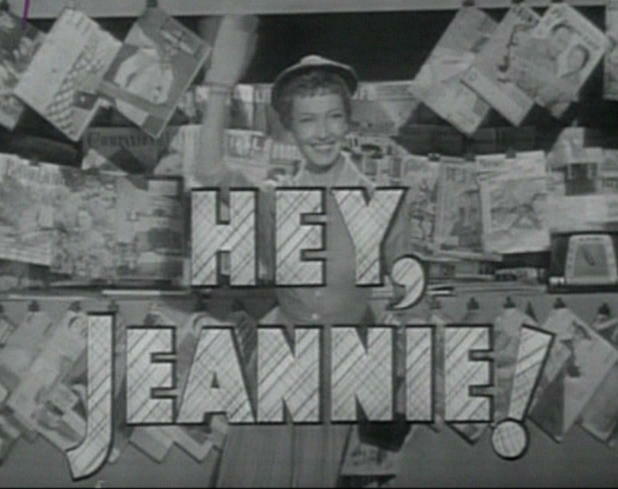 Jeannie sings: "Baa Baa Black Sheep"
for a syndicate which plans to take over the whole corporation. [--] 6Oct56 CBS Pre-empted for "Ford Star Jubilee"
cabbie Al Murray and the good fortune she's had since arriving in this country. Jeannie MacLennan, newly arrived from Scotland, is so overjoyed at being in the U.S.
who comes to her rescue soon finds himself named as her sponsor. Jeannie sings: "I Feel a Song Coming On"
Jeannie a lesson in how to eat though broke. 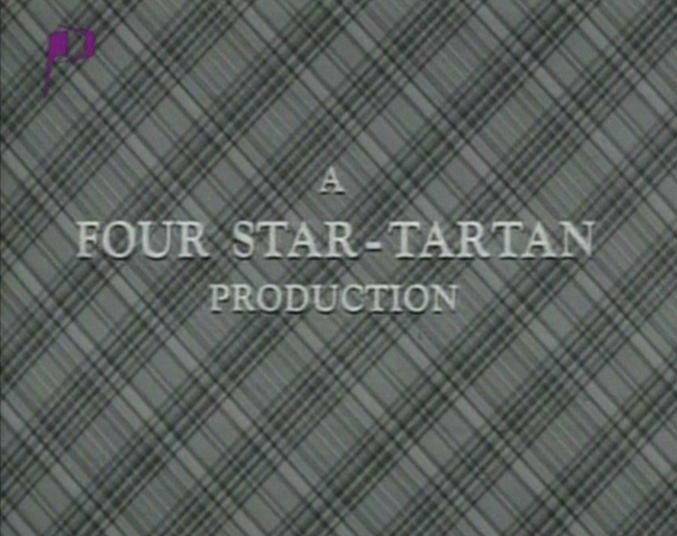 Jeannie sings "When we're Alone"
[--] 3Nov56 CBS Pre-empted for "Ford Star Jubilee"
Angus manufactures golf clubs which are real winners. Jeannie sings: "The Pastures of your Heart"
Jeannie sings "When you're Smiling"
Jeannie sings "Don't Ask For More"
claimed the jacket at the cab's lost and found department. not at all to her liking until the shop owner initiates a sales contest. - a trip to Washington D.C.
Jeannie sings "Will ye no come back again", "If you knew Suzi"
Jeannie Sings: "Bonnie Banks of Loch Lomond"
Director of Photography - Joe Novak, A.S.C. upon to serve an important formal dinner. Jeannie sings: "I Wanna be Happy"
troupe of bagpipe players and a sailor with a Scottish accent. Jeannie Sings "My one and only Highland Fling"
Director of Photography, Frank Redman, A.S.C. Jeannie Sings: "Pick yourself a Star"
star is just a drugstore cowboy. Jeannie sings "Boots and Saddles"
anxious to help her spend it. secretary and finds herself embroiled in the business world. Jeannie sings: "One Finger, One Thumb"
Jeannie Sings: "Side by Side"
Army corporal. In the confusion, that results, she ends up as a WAC recruit. Jeannie sings "Love" (Hugh Martin, Ralph Blane - from "Ziegfield Follies"). a dispatcher. Jeannie arranges for Al to go to her apartment. on his way to robbing a store. Jeannie Sings "The Lady's in Love with you"
secrecy on her first assignment. Jeannie sings "Start all over again"
Jeannie Sings "A Girl Like Me"
Director of Photography, Frank Reman, A.S.C. three young men all show up at the same time at a Costume Ball. 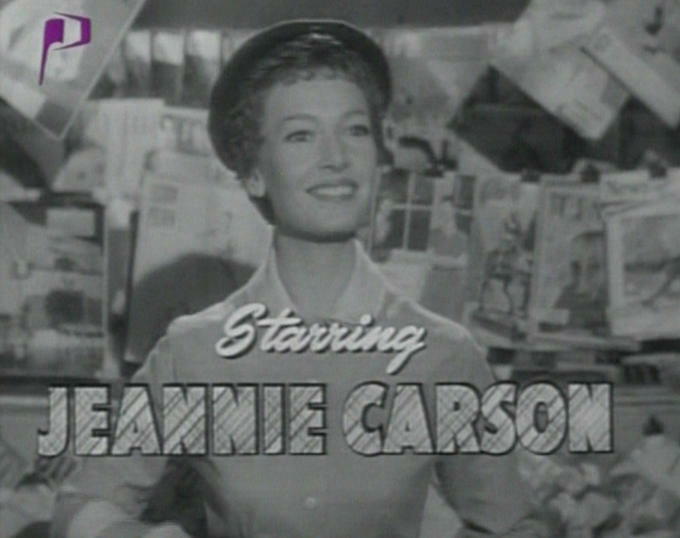 Summer 1960 ABC [us] re-runs - under the series title "Jeannie Carson"
Filmed in Hollywood by Four Star Films, Inc.
Director of Photography: Joe Biroc, A.S.C. Sound Effects by Norval Crutcher, Jr.
two young neighborhood boys bring to the house. Jeannie Sings: "Happiness is a thing called Joe" & "Poor Johnny One Note"
Mother Flanagan is buying supermarket jam and putting on her own labels. Edited by Chandler House, A.C.E. On board a flight from San Francisco to New York is a group Korean orphans. appartment instead of his new adoption parents, landing Jeannie in big trouble. plane for himself on a journey from Boston to New York. invites Jeannie on a wild night in the clubs of New York. spending any money to prove to Buck that money isn't everything. Jeannie sets out to prove that the ground is unsafe to build the highway on. many months. Tomorrow his tribe will perform the rain dance. the chief makes Jeannie his daughter - Little Rain Cloud. of the ground, and they have Jeannie arrested by the local police. Pawnee chief declares war on the Cheyenne. The Pentagon sends a representative to assess the situation. police chief and the Washington representative all want Jeannie locked up.